A new study entitled: Here we go again…the Permanently Failing Organization: An application to the airline industry in Eastern Europe by myself and two colleagues, Dr. Adel Nemeth and Prof. Dr. Hans-Martin Niemeier will be published in the leading research journal – Journal of Air Transport Management in 2014. We examine why privately owned airlines perform so poorly in financial terms yet continue to survive. While much of the explanation for poor performance can be laid at the feet of de-regulation, rising fuel costs, the emergence of new competitors and so on, you’d expect that after a while, the loss-makers would exit the industry. Yet they don’t the persist. They are ‘permanently failing’. Marshall Meyer and Lynne Zucker developed the concept of “permanently failing organisations” in 1989. They identify a difference between organisational performance and organisational persistence – essentially, a company can persist and under perform. 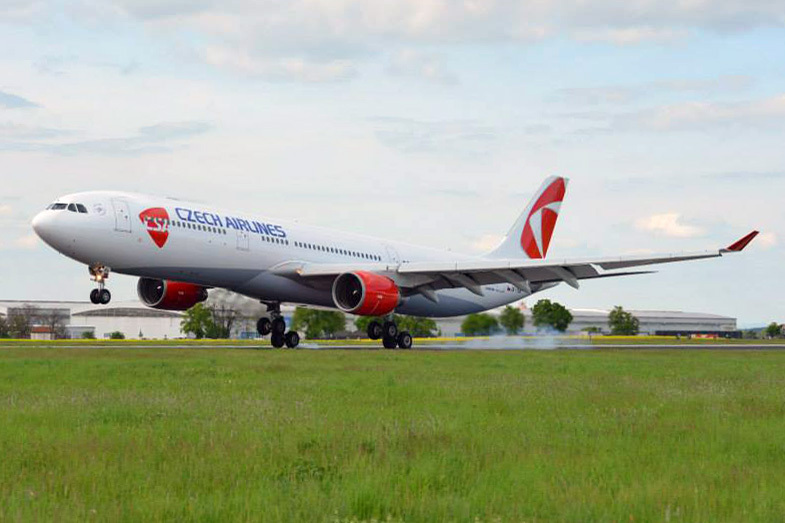 We took these features of ‘permanent failure’ and investigated them in the context of three airlines: CSA Czech Airlines, LOT Polish Airlines and Malév Hungarian Airlines. What is interesting of course is that one of the three finally exited (Malév) while the other two continue to survive. Based on interviews with top management and senior executives in partner companies such as airports and suppliers, the evidence is clear. These airlines fit almost perfectly into the category of ‘permanent failure’. Three issues stood out in the research. (1) The legacy of being airlines from the former centrally planned economy, some staff kept their positions within the company by virtue of connections with the government that pre-date 1989 developments and which had little to do with the demands of modern airline management. (2) A sense of entitlement among operational staff was common in the narratives presented by the managers interviewed. Indeed one manager expressed frustration at the way in which staff would be seemingly unwilling to break out of dysfunctional practices that were clearly worsening the value proposition at the airline. His explanation for such dysfunctional behavior was the perception among staff that the airline would never really fail because the government would step in to rescue it one more time. History taught the employees that things wouldn’t change and that the airline would survive. (3) Frequent changes in leadership at the airlines also contributed to instability at the CEE carriers. Managers expressed that it was hard to pursue consistent and predictable strategies because each time a new CEO came to the airline, a new top management was assembled bringing new ideas and new strategies to the table. This led to business policy reversals and furthermore communicated a lack of coherent long term thinking to the organisation. These three factors led to the need for continued injections of public funds and as a consequence drew the attention of the EU Commission. All three airlines were investigated for state subsidy. Malév was finally forced to exit the market because the Commission ruled against the State Aid offered by the Hungarian government on the grounds that the money would not have been extended on commercial terms and was used for plugging a hole in operational expenditures. The other two airlines escaped. Of note is that CSA Czech Airlines earlier this year was rescued by Korean Airlines (through a 44% equity purchase) – we’ll see how long Korean Airlines will be willing to absorb losses at CSA. Conveniently, CSA no longer needs to make public its financial statements so we can only guess at how they are bleeding money. CSA has also persuaded Abu Dhabi carrier Etihad to operate a route from Prague to Abu Dhabi on a leased A-330 jet. And like a good sugar daddy should, Korean Airlines plans to supply CSA with new planes too. LOT Polish Airlines is once again under investigation for a new State Aid granted it by the Polish government in 2013 – approximately 200 million euros. At a press conference announcing the government bailout, Polish Prime Minister, Donald Tusk announced that this would be the last time the Polish state did this. Given our research on the airline, this hardly appears credible – unless the EU Commission steps in to shut LOT down. With an election coming up in Poland in 2014, it could create political problems for Tusk’s party if they chose to do so. These behaviours are not unique to Eastern Europe, rather they are exemplars of a broader ‘permanent failure’ in the passenger aviation sector. This story – continued losses, poor management and external stakeholder interference to preserve the airline takes place all over the world.